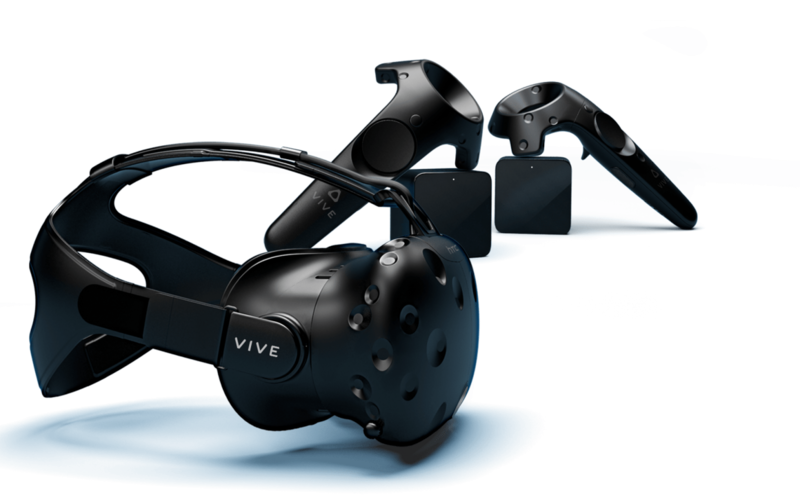 The HTC VIVE Virtual Reality system is the best commercial available virtual reality headset currently available in South Africa. 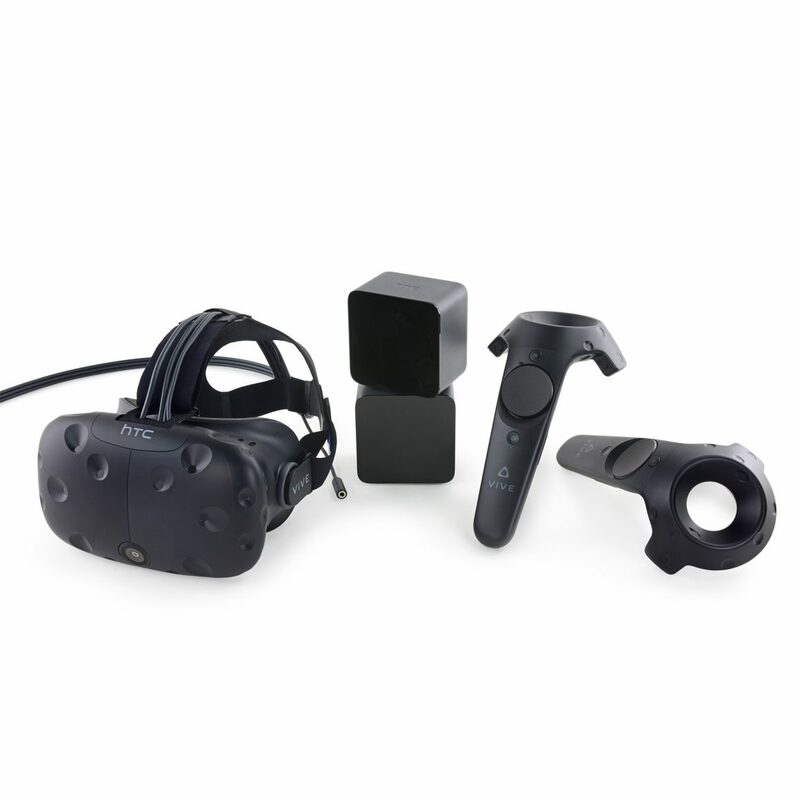 The headset works with room scale technology meaning that you can physically walk around in a virtual reality space, touch stuff, pick up stuff and completely interact with virtual reality. We also create Custom High-End Virtual Reality solutions for Brands that want to immerse their clients in their own custom experience. Watch the Video below to see some of the Commercial Experiences available for events! There is several commercial experiences available that you can use to wow visitors at your event, team building or activation. These experiences draw people into your stand and get them to talk about your products and the experience. We also develop CUSTOM VIRTUAL REALITY experiences, with your branding and your own content! The Richie’s Plank Virtual Reality experience is one of the most exciting commercially available virtual reality experience for events. Watch the video to see what Richie’s Plank is all about. If you are not in the experience or haven’t experienced the virtual reality experience before you likely have no idea how intense it is! We have people sweating the moment they get into Richie’s Plank and the lift doors open. If you haven't been in the HTC VIVE Virtual Reality headset you don't know what you have been missing! Below is some of the experiences available commercially if you are interested in getting virtual reality at your next event! – However if you haven’t experienced it yourself yet, no video is going to show you exactly how awesome it is, and why it is a people’s magnet especially at events! – Watch the videos below to get some idea of what it offers, but make sure to book a demonstration and come and experience it for yourself! 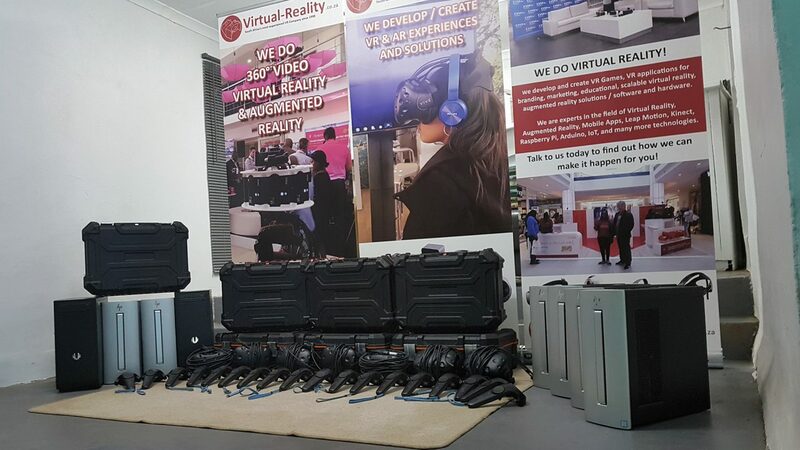 If you want to offer people something different as part of your events and activations then virtual reality could be what you are looking for! 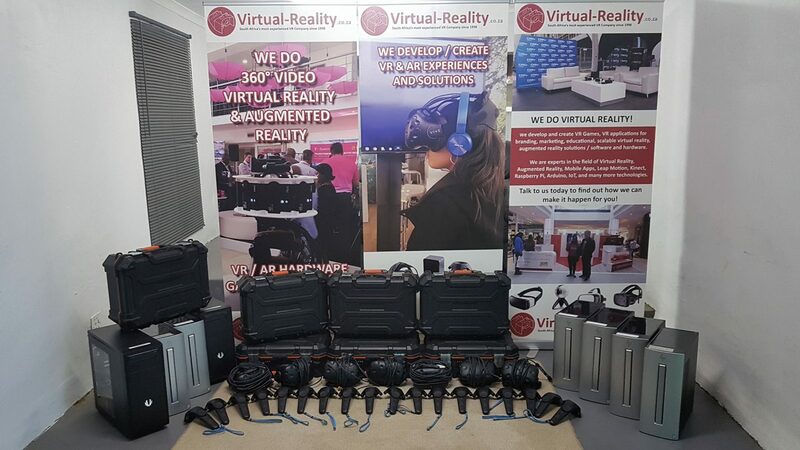 We recorded this video at one of our events, have a look at the video and get an idea of how we used virtual reality at this event to attract people to our stand! 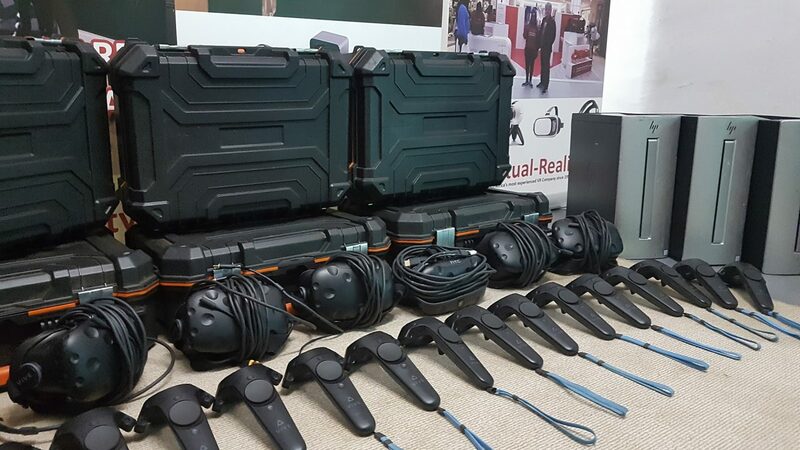 Setting up the HTC VIVE Virtual Reality System at an event. 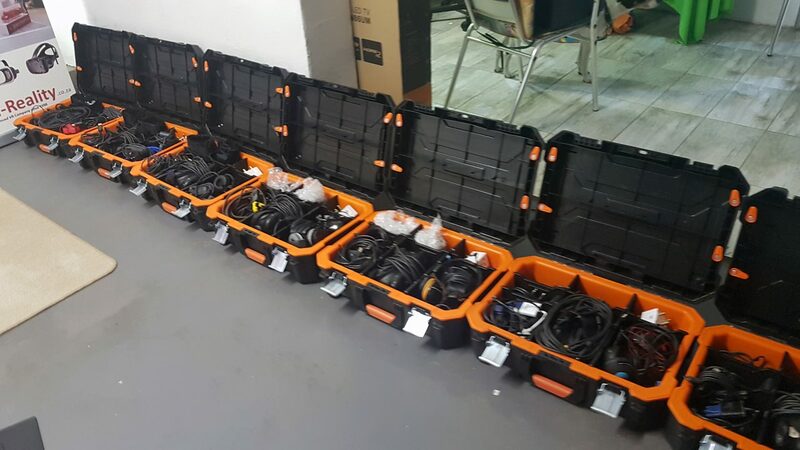 We have many clients asking us how do we setup the HTC VIVE virtual reality system at an event. I decided to record this timelapse video at one of our recent activation to showcase how it is done. (This is not a technical setup video, and it does not have instructions). 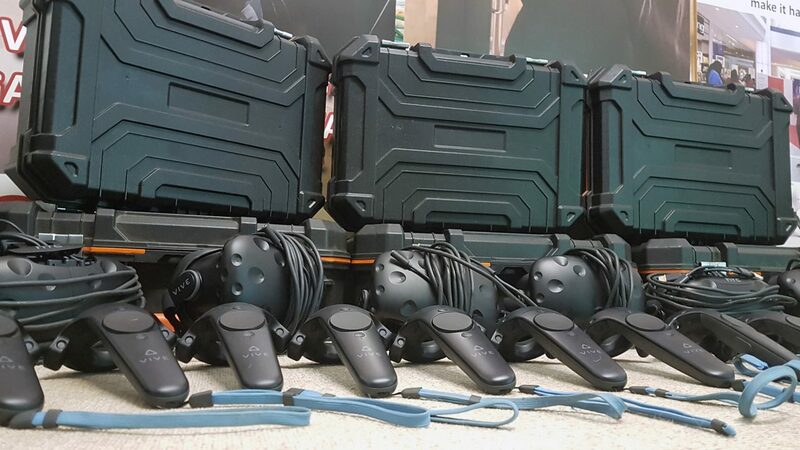 The video basically shows the process and how long it takes to setup the HTC VIVE system for an event, or for a virtual reality presentation. 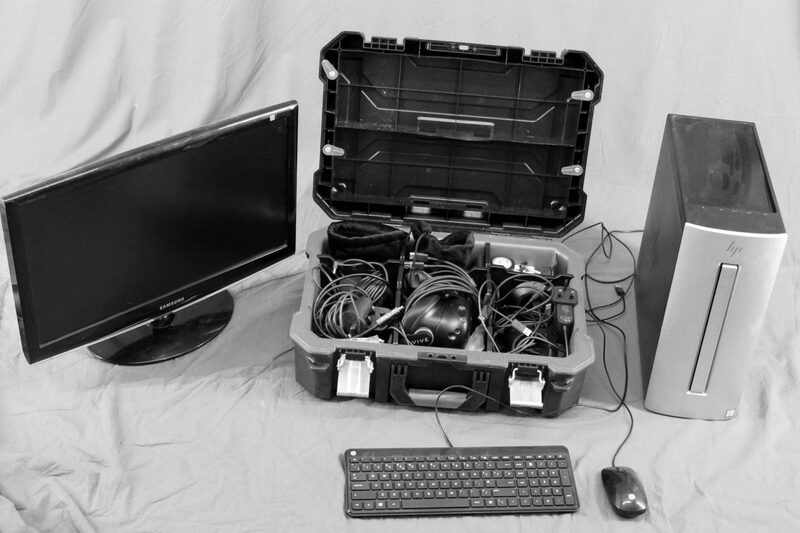 It takes +/- 30 minutes up to an hour to setup a basic Virtual Reality system at a event! Here is some footage from another one of the virtual reality events we did. This was a custom virtual reality solution that we developed for Extramarks. In this virtual reality experience kids got to do a science experiment and experience virtual reality as an educational tool first hand! The exhibition and virtual reality events which were held across the country was a huge success, drawing people to the Extramarks stand, and getting them to sign up to their educational platform. We developed the custom virtual reality experience. 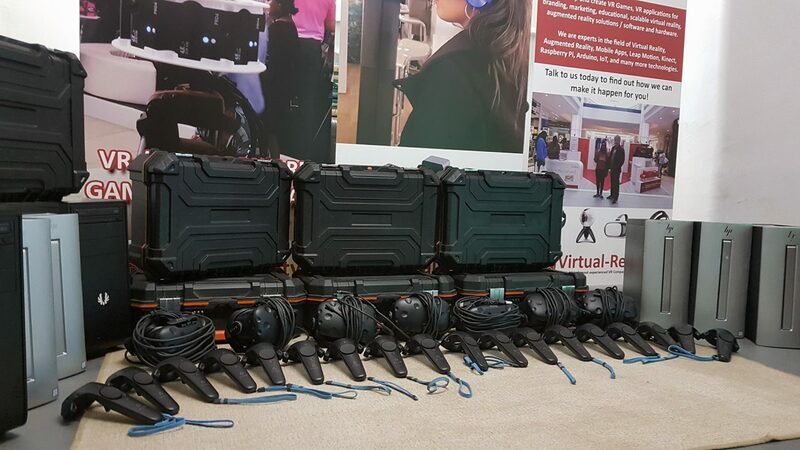 We provided the Virtual Reality equipment for the events. 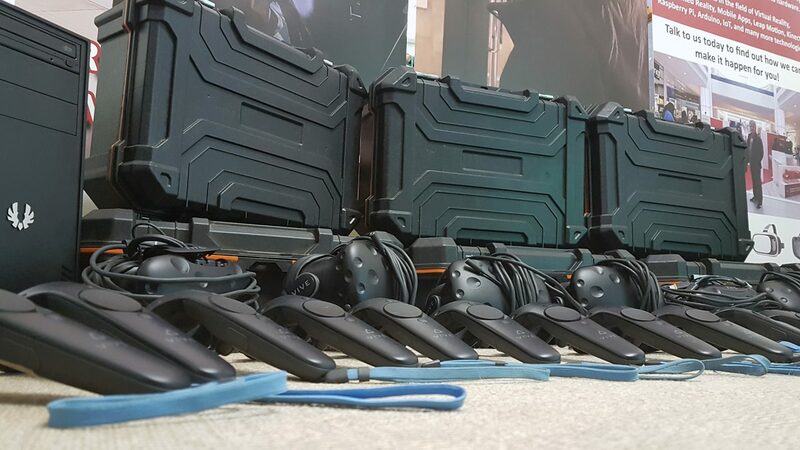 We provided the Activation Personnel for the Virtual Reality part of the exhibition. 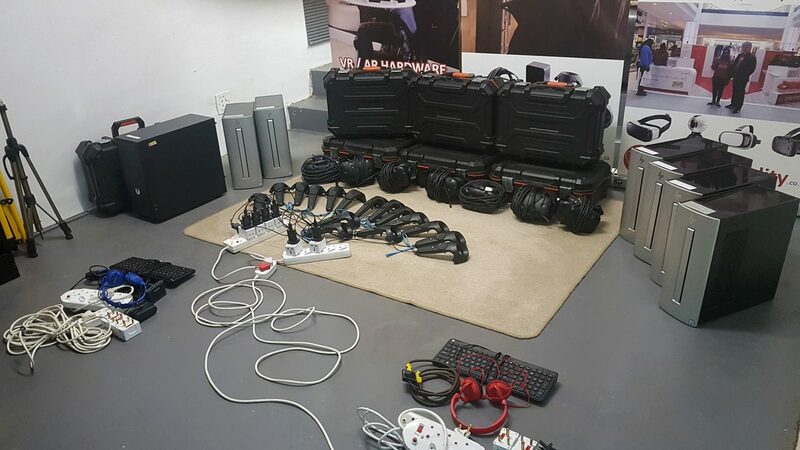 We have one of the largest collections of HTC VIVE High-end Virtual Reality headsets for hire in South Africa.